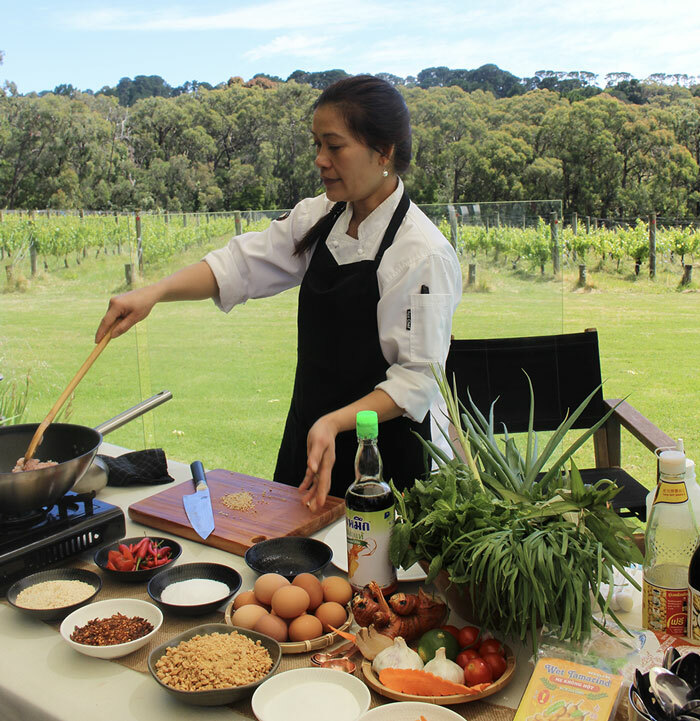 Join our famous cheeky Chef Roong, in her ever so personal, fun & interactive Thai cooking classes. Hands on cooking of authentic Thai dishes plus take home recipes. We come to your location, or choose from one of our many venues. Chef Roong charms a crowd with her popular cooking demonstrations. 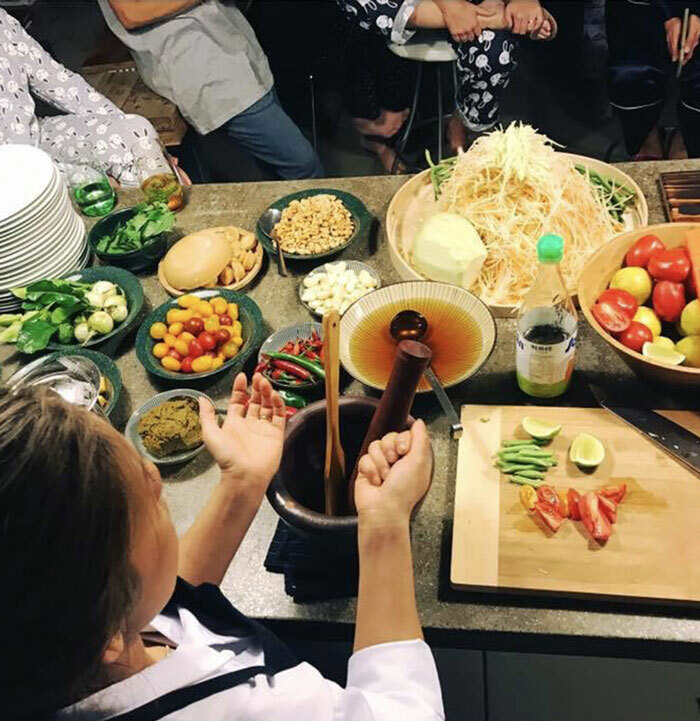 Interative demonstration of an authenic Thai dish, with additional fun such as her famous chilli eating competition – accompanied by a 3 course feast. The Finesse catering group provides professional catering to the Mornington Peninsula and beyond.